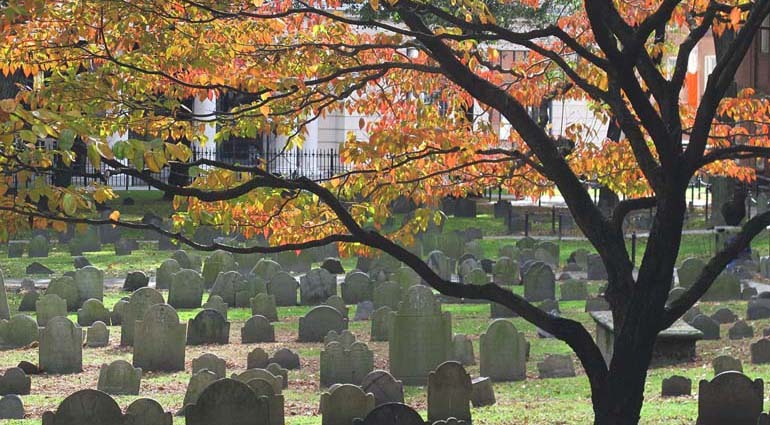 But no one really knows where in this burial ground each body is buried because the stones have been moved many times—sometimes to make the grounds more picturesque and other times so lawn mowers could fit between them. And while the Granary features approximately 2,300 markers, closer to 5,000 people are buried there! Even in death, it seems, some people are not fully known. There may be times when we feel as if we are like those unmarked residents of the Granary, unknown and unseen. Loneliness can make us feel unseen by others—and maybe even by God. But we must remind ourselves that even though we may feel forgotten by our Creator God, we are not. God not only made us in His image (Gen. 1:26-27), but He also values each of us individually and sent His Son to save us (John 3:16). Even in our darkest hours, we can rest in the knowledge we are never alone, for our loving God is with us.